For thirty years, Florical has been the leader in television automation and our products have been deployed at some of the biggest names in TV and Cable. From high profile cable networks, network owned and operated stations, individual network affiliate stations and PBS stations, Florical has been the company broadcasters and cablecasters have turned to for solutions and software. Since 1995, Florical has been offering the TV industry ShareCasting. Florical also pioneered HybridCasting, where a station can either run in Centralcasting mode, ShareCasting mode or as an Independent station dynamically throughout the day. Florical is a division of RCS headed by President/CEO Philippe Generali. RCS is the world’s leading provider of broadcast software, used by more than 10,500 radio stations, television stations, cable companies, satellite radio networks and Internet stations worldwide. Overseeing operations at Florical is Vice President and General Manager, Shawn Maynard. Shawn joined Florical Systems in 2006 as Senior Vice President and General Manager. Florical Systems has been a leader in television master control automation since the beginning of 1985 with a product called TimeShifter. 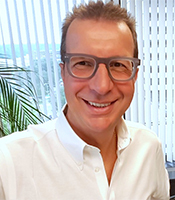 Prior to Florical, Shawn served as the Director of Operations for NBC Universal from 2001 to 2006, overseeing the Southeast Hub in South Florida. Shawn brought his operational experience to Florical by designing Smart Central and several award winning products including Acuitas. Shawn attended Marshall University where he majored in Psychology. Shawn is married to his wife, Jennifer and they have five children. 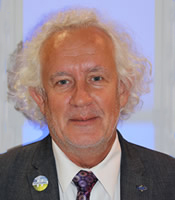 Dr. Eric Piard has been the Vice President of Research and Development for Florical Systems worldwide since 2006. He originally joined the software development team at Florical in 1996, when Florical was doing its major transition from a DOS based platform to Windows NT. 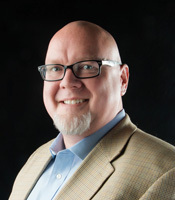 He is responsible for the strategic vision and planning of product development He stays on top of the latest trend in IT and Media related technologies and participates in the SMPTE, ATSC and SCTE standards communities. He holds a Master in Physics, a Masters in Mathematics and a Masters in Applied Mathematics from the University of Paris VII in Paris France. He has a Masters in Physics from Columbia University, New York City and a Ph.D. in Physics from the University of Florida. While Eric is not working, he enjoys Florida’s beautiful landscape and weather by riding his Ducati motorcycles year round, enjoying scuba diving in the local caves or ocean reefs and wrecks in the ocean. And also quenching his outdoor thirst with ski or backpacking trips in the mountains of Colorado, his native Alps, South America and Asia. In the tradition of the French bon vivant, he always seeks out interesting culinary and libation offerings as a pastime. Mike Powell is a former British newspaper and radio journalist who hosted top-rated morning shows on several UK music radio stations before transitioning to station management. 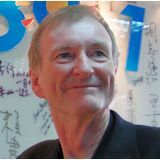 He was Program Director of County Sound (Guildford, UK) from 1984 to 1986 and then CEO from 1986 to 1991 – growing the group to eight radio stations. Powell designed the programming for award-winning station, Fox FM (Oxford) – a joint venture with Capital Radio (London). Mike was the CEO of Infinity Radio, which then merged with UKRD Group where he built the group to over 20 radio stations and associated companies. In October 2002, he joined RCS as Vice President of its International division, which then led to his most recent title of SVP, International Operations and Chief Compliance Officer. Mike is instrumental in facilitating Florical’s international relationships.